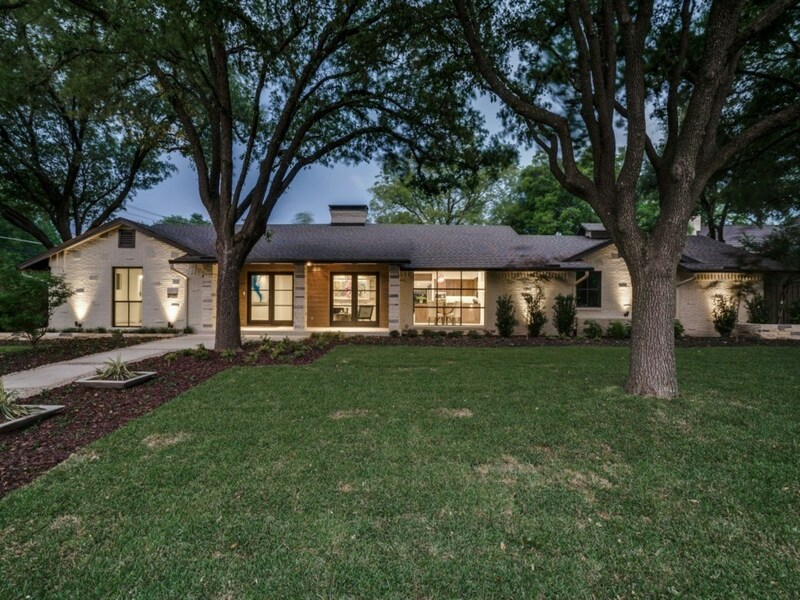 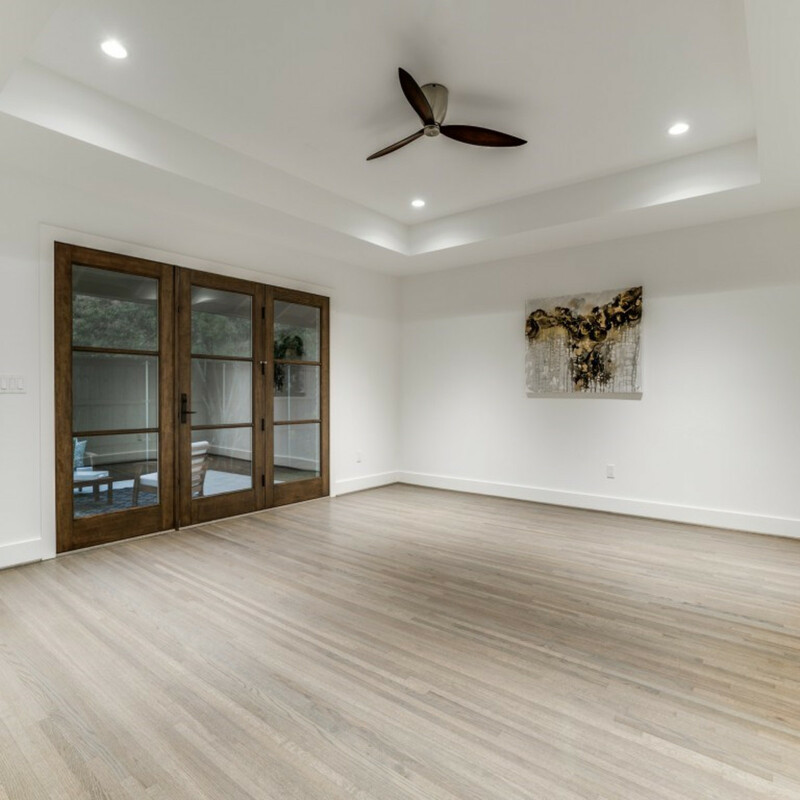 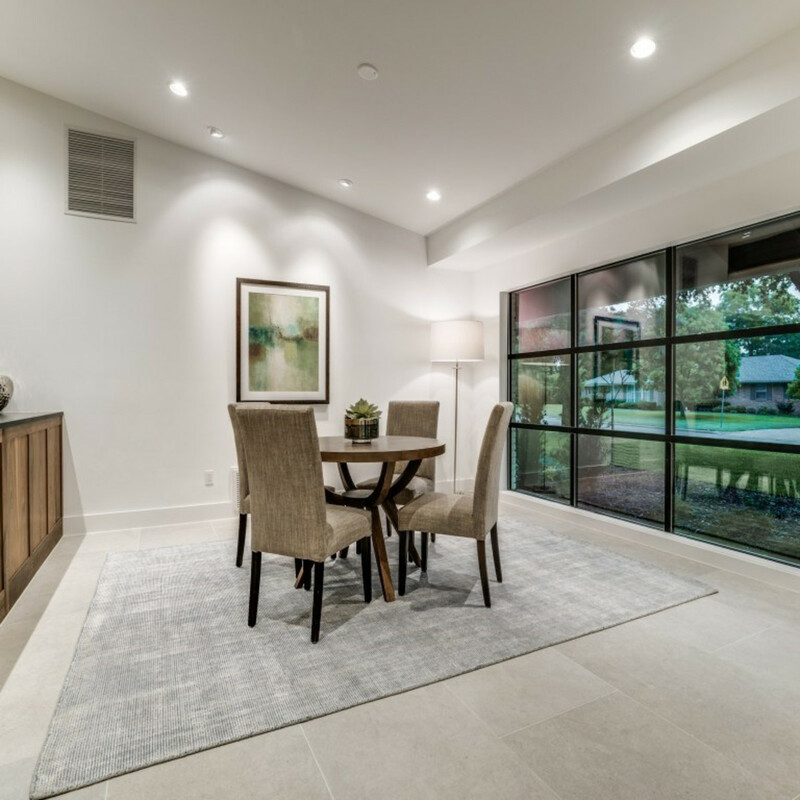 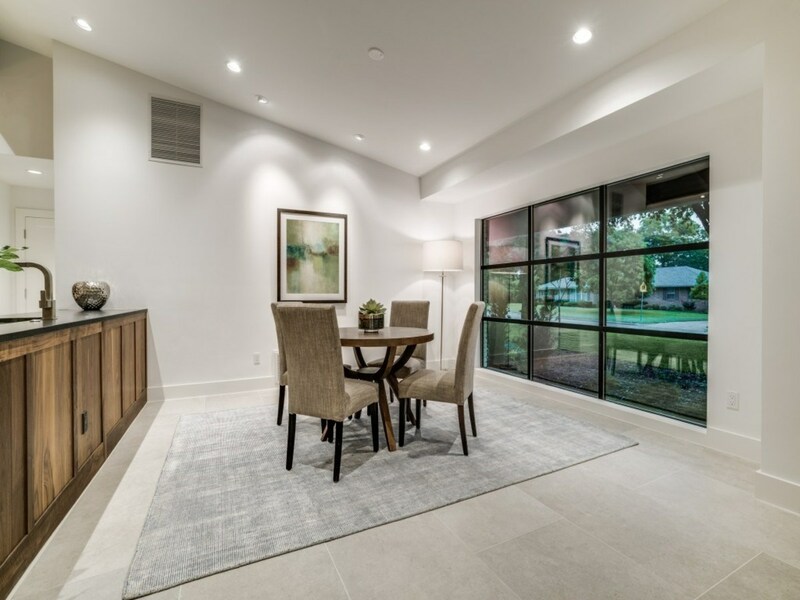 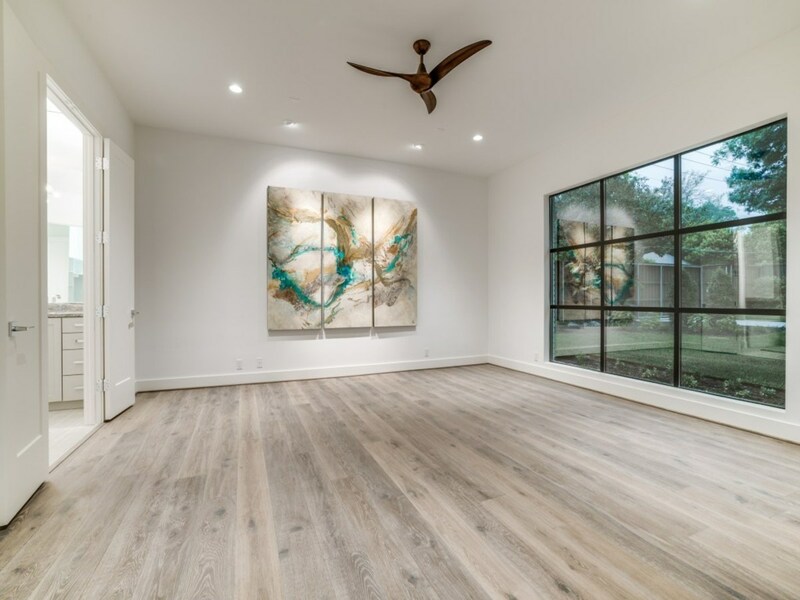 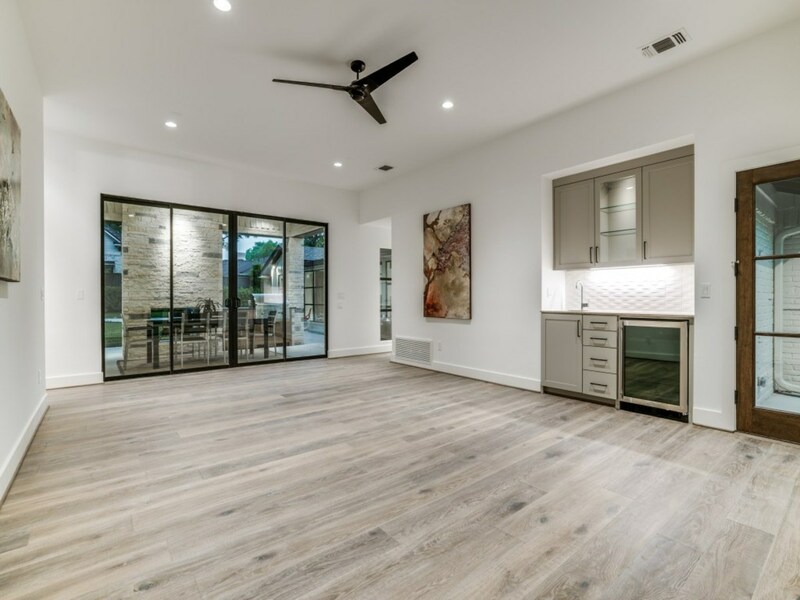 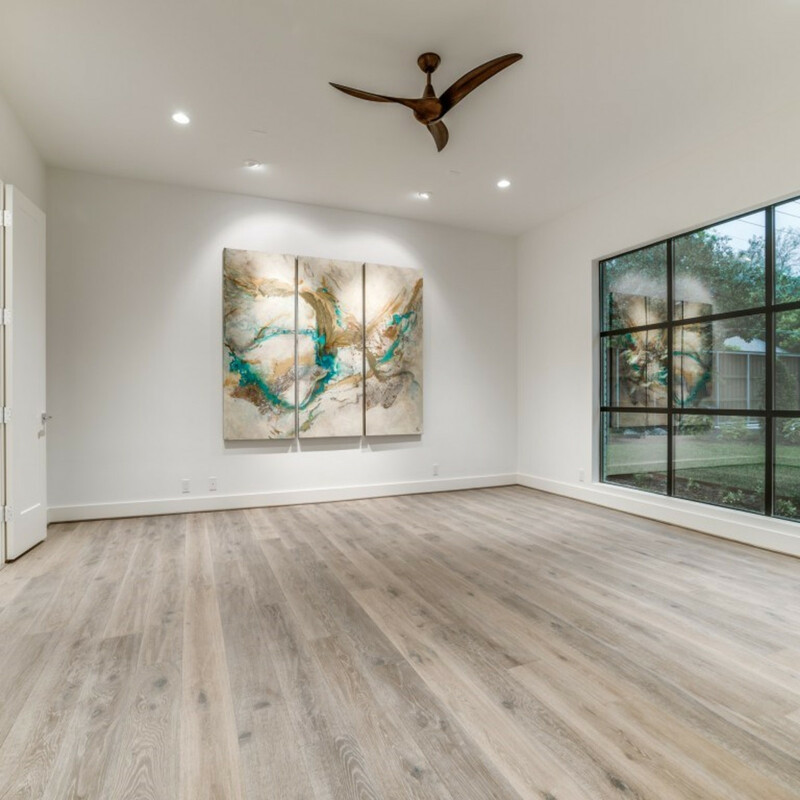 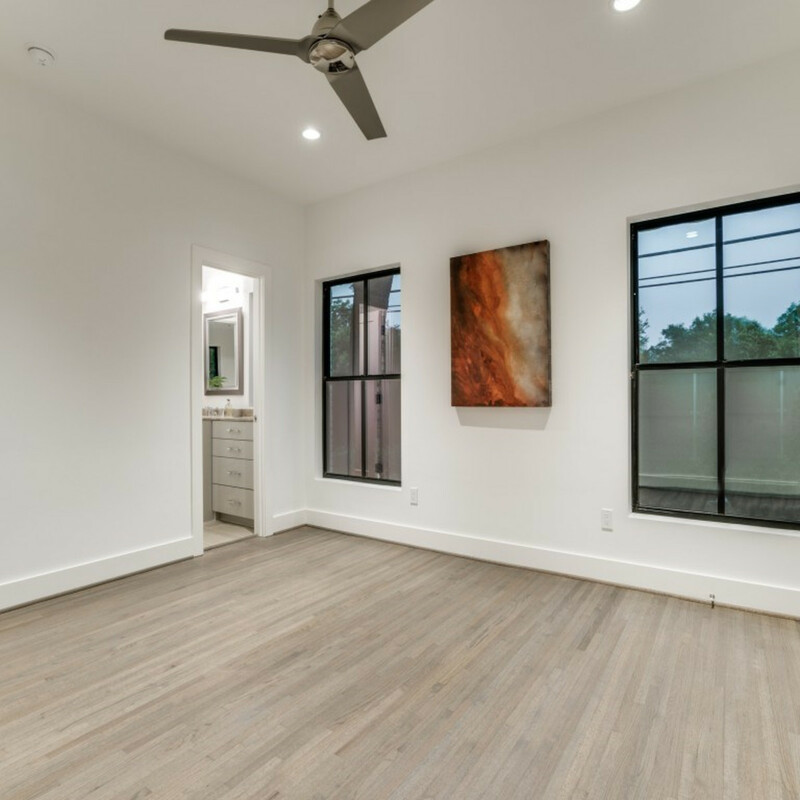 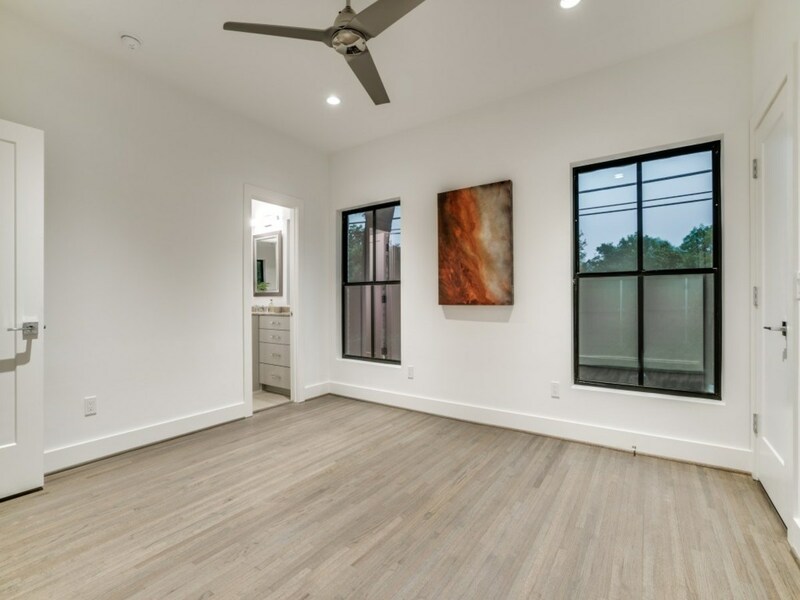 It takes a savvy, experienced contractor to remodel a home to the level of sophistication seen at 7242 Midbury Dr., in the tony Jan Mar neighborhood of Dallas. 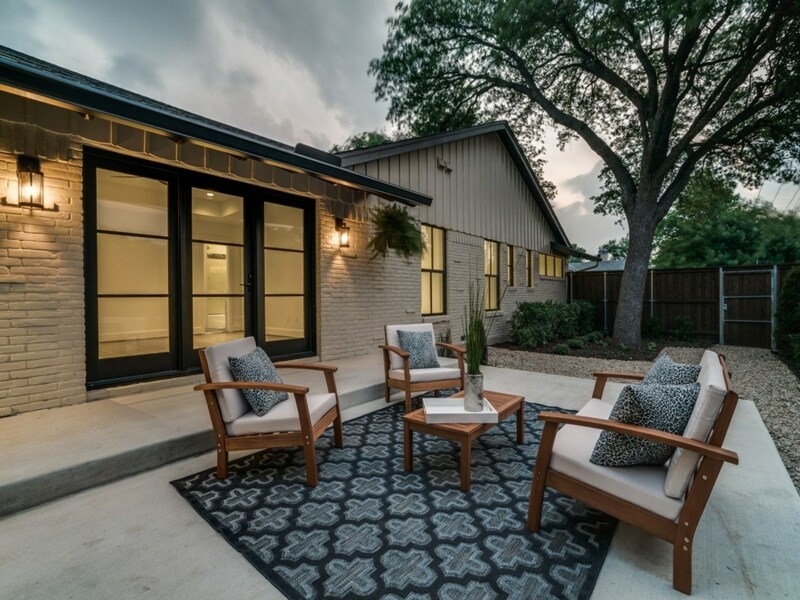 Guess who whipped this 1955 ranch into shape? 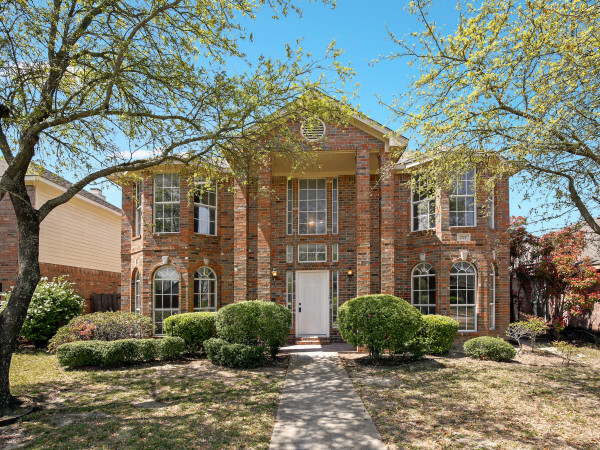 The Realtor. 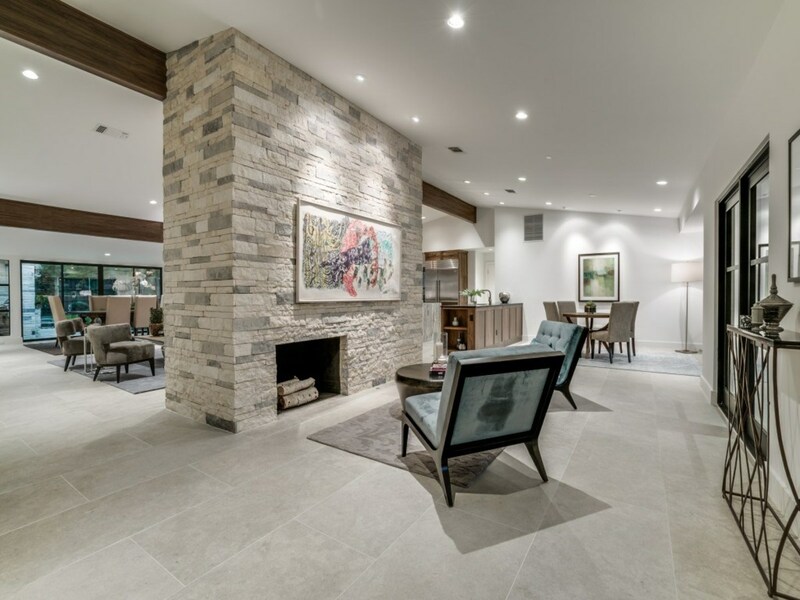 In fact, Mickey Carr with David Griffin & Company is not only a Realtor; he and two of his childhood friends formed Spruce Designs a couple of years ago. 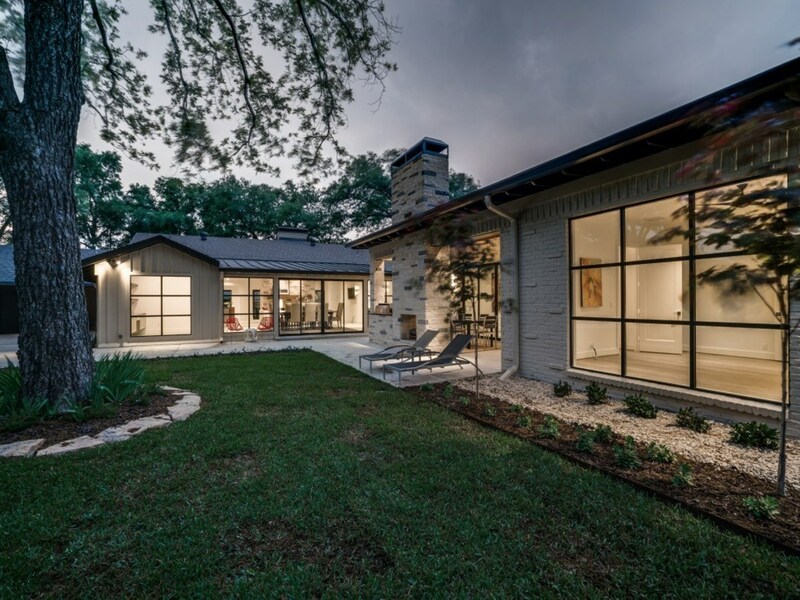 For this project he designed the remodel and served as general contractor. 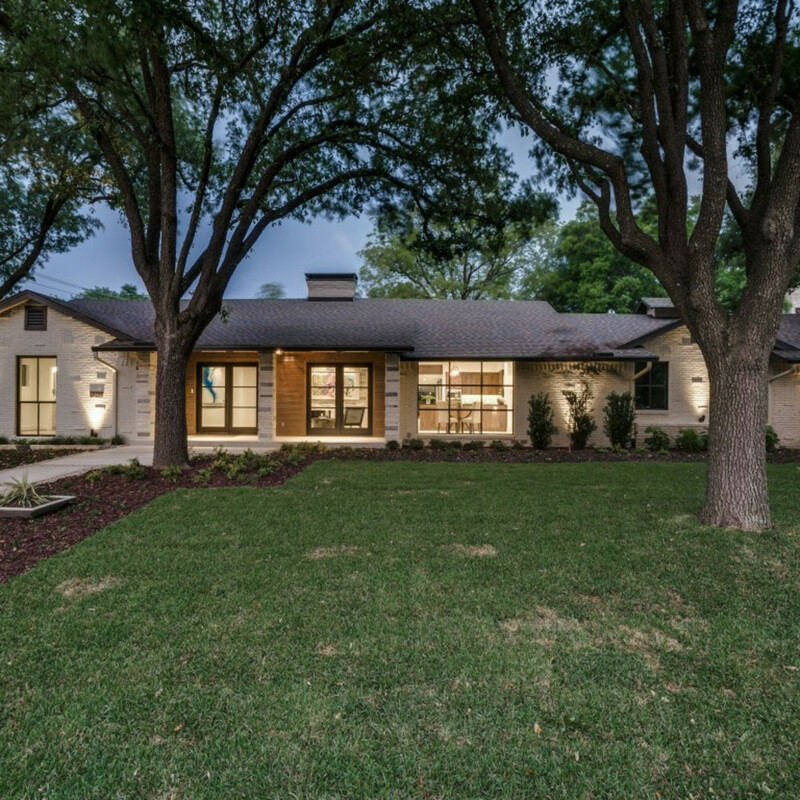 Carr and his partners have remodeled this home with intelligence and style, and without compromising the half-acre corner lot. 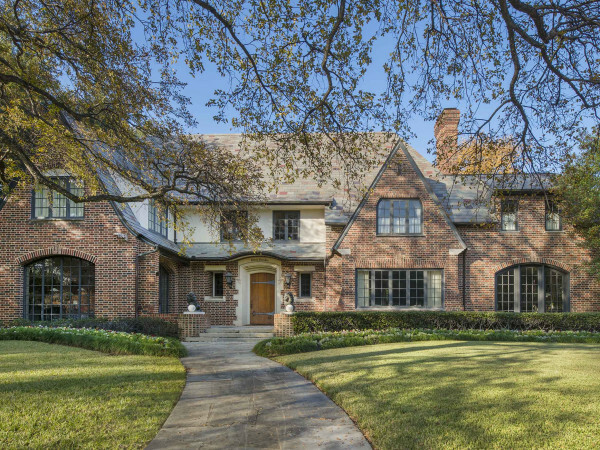 He recently listed this 4,700-square-foot beauty for $1.59 million. 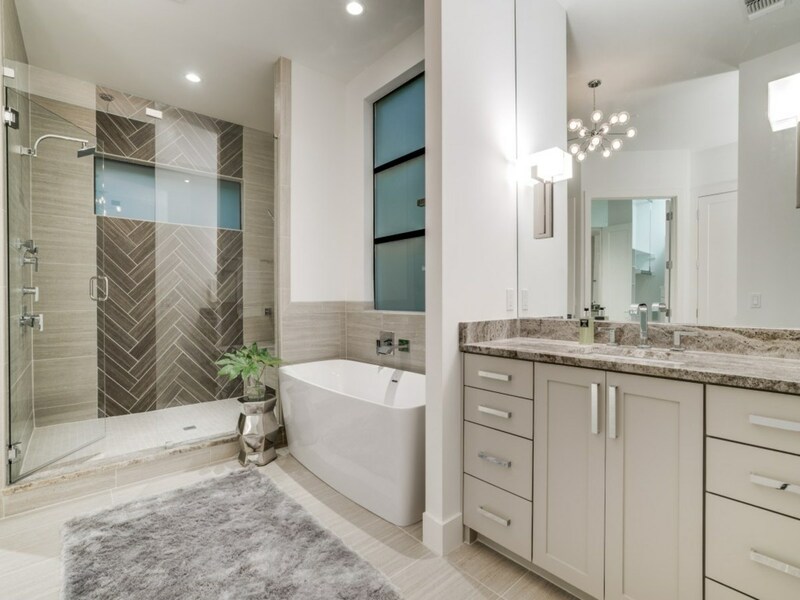 There are four bedrooms, three bathrooms, and two half-baths. 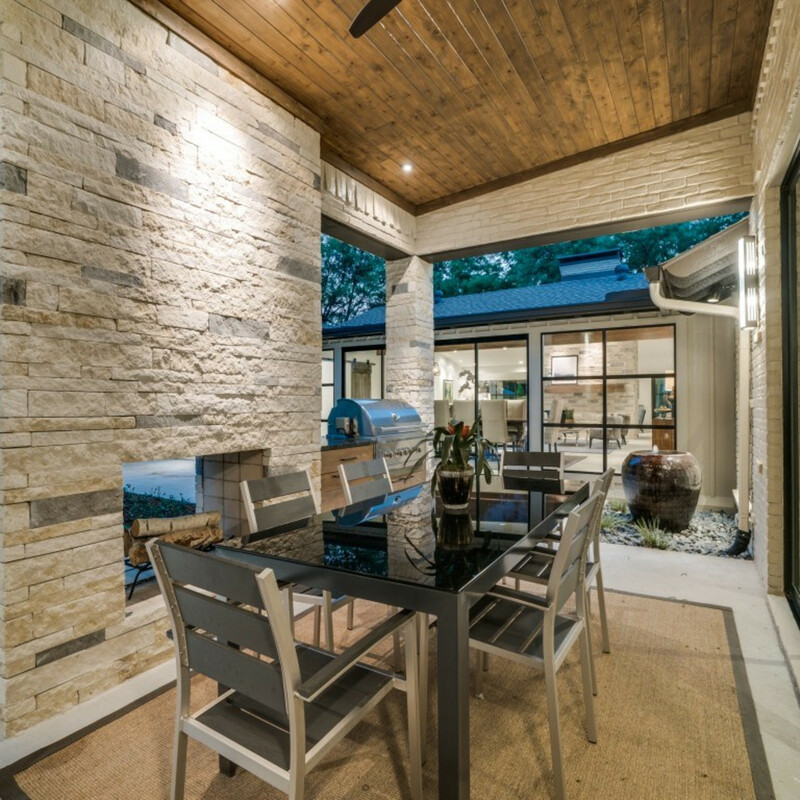 Spruce Designs did not miss a trick. 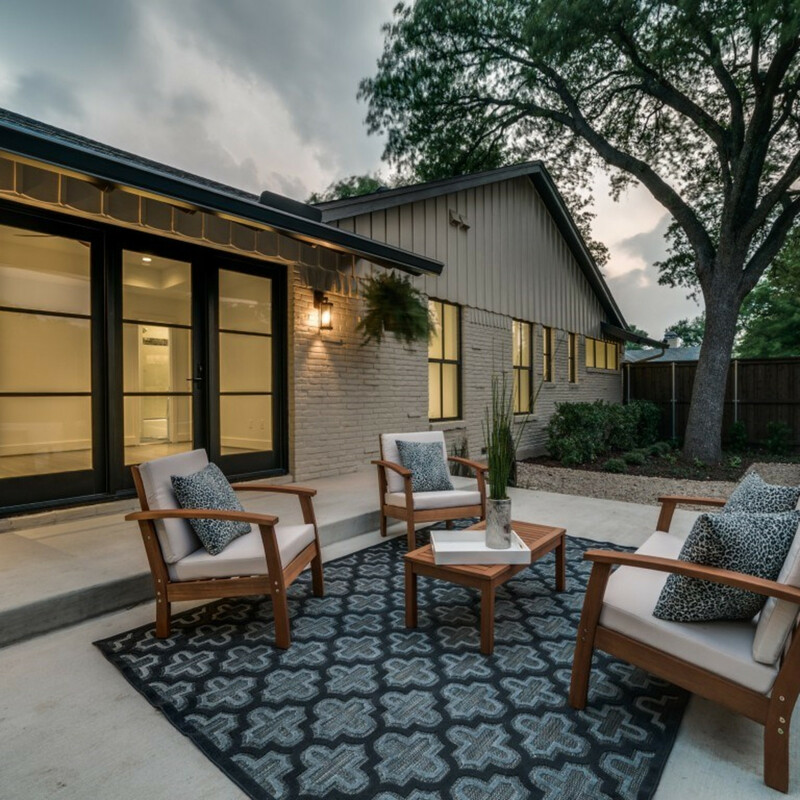 A new driveway and sidewalk were as essential to the new look as the new windows and doors. 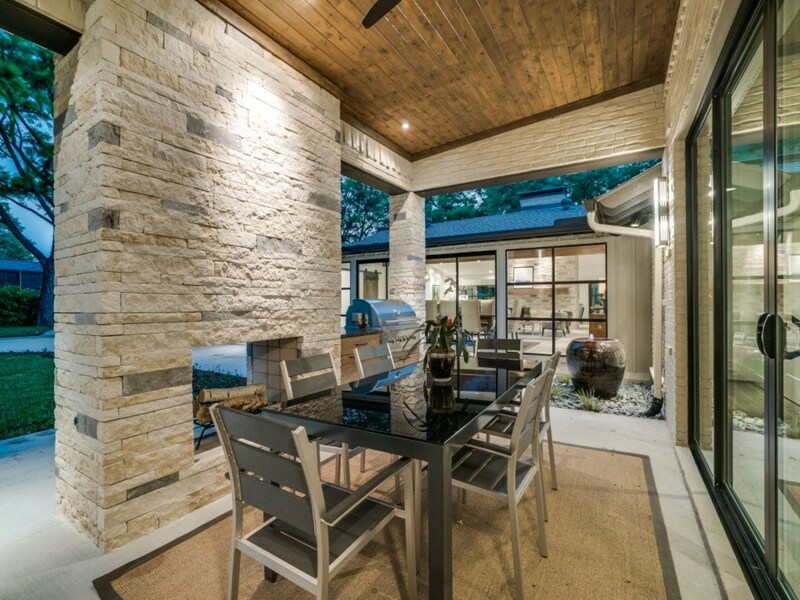 A mix of Austin stone and Lueders limestone updated the façade as well as the back porch area. 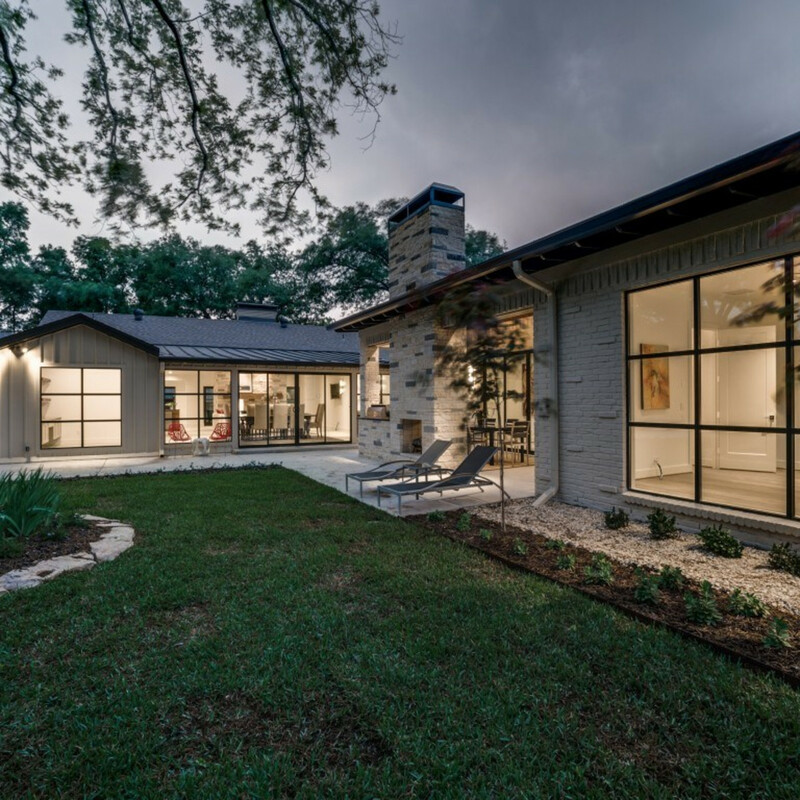 Contemporary landscaping and two outdoor living spaces complete the exterior updates. 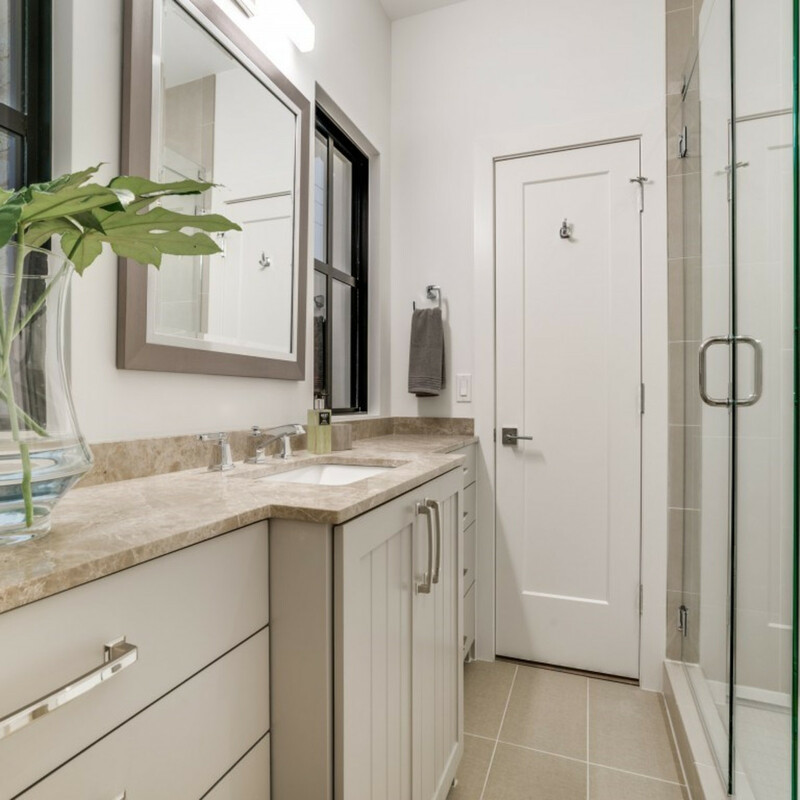 Behind the scenes, all of the original plumbing and gas pipes were replaced, and two tankless water heaters were added. 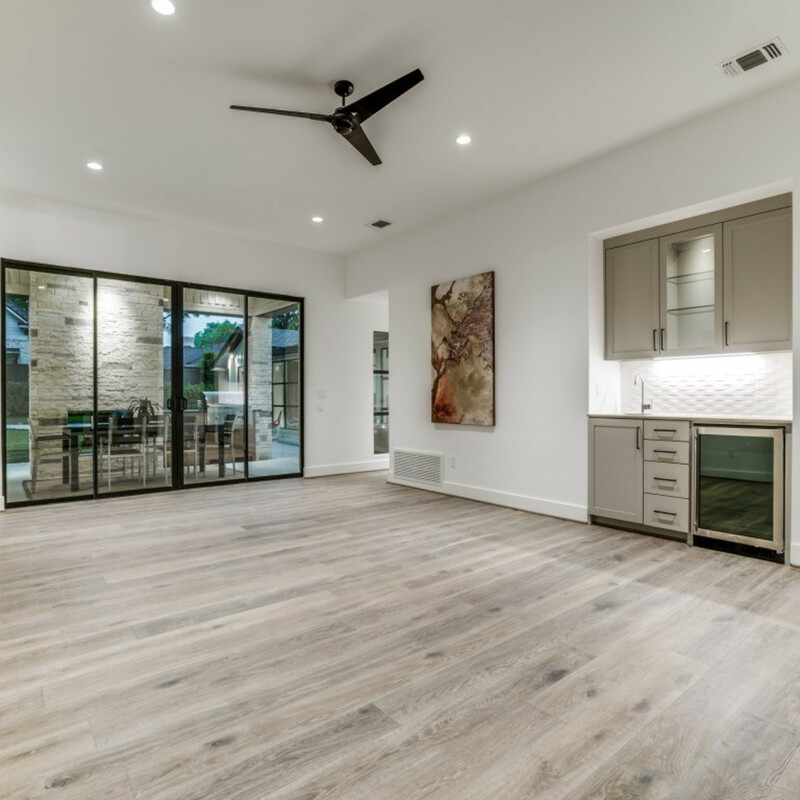 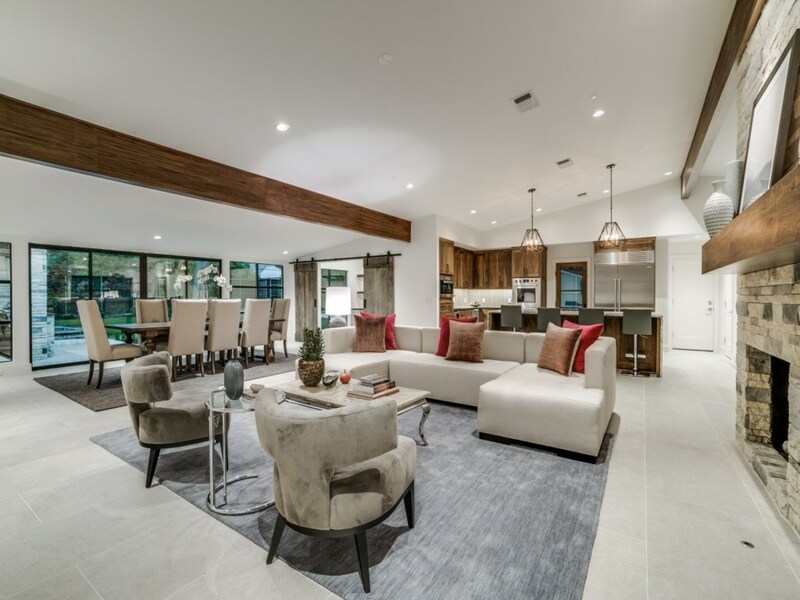 The entire home was rewired with new main service and pre-wired for security and sound in the main living areas, media room, master bedroom, master bath, and back patio. 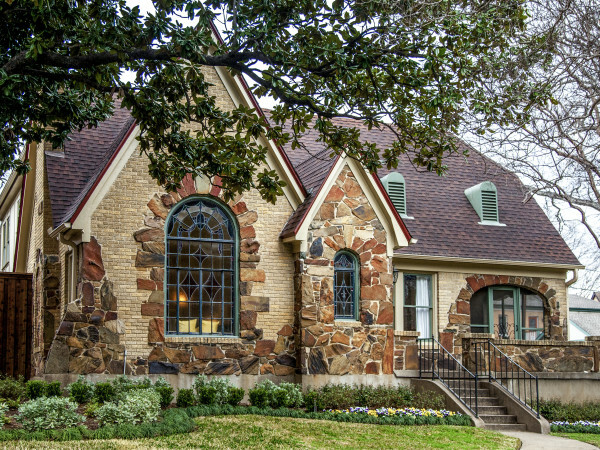 Opening up these older homes is the key to appealing to a modern family. 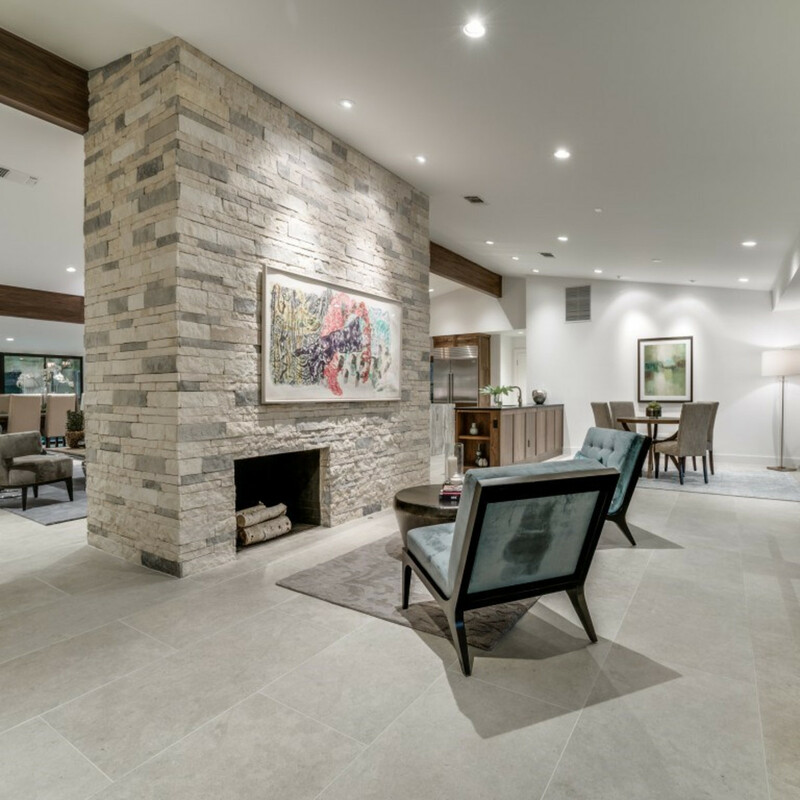 Creating movement around the central fireplace allows for ease of entertaining, great light flow, and keeping tabs on kids. 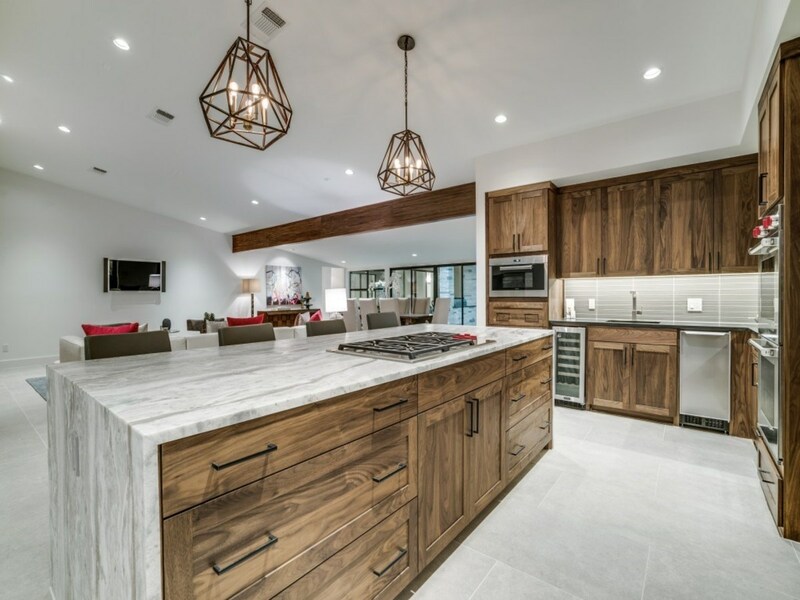 In the kitchen, ceiling beams complement the gorgeous, flat-panel walnut cabinets. 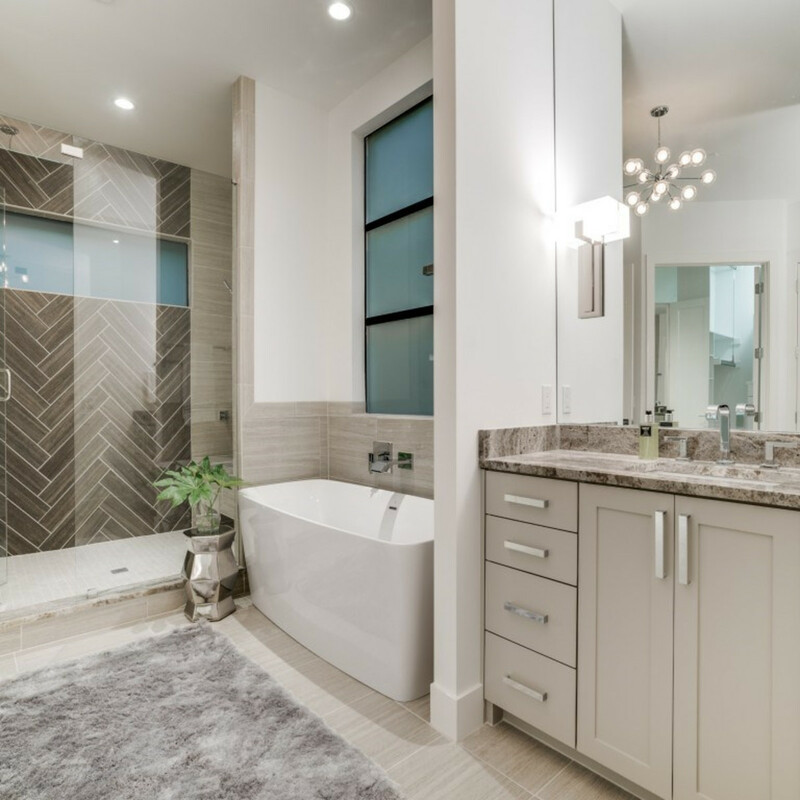 Moen faucets and black honed granite for the perimeter work nicely with the enormous waterfall leathered quartzite island. 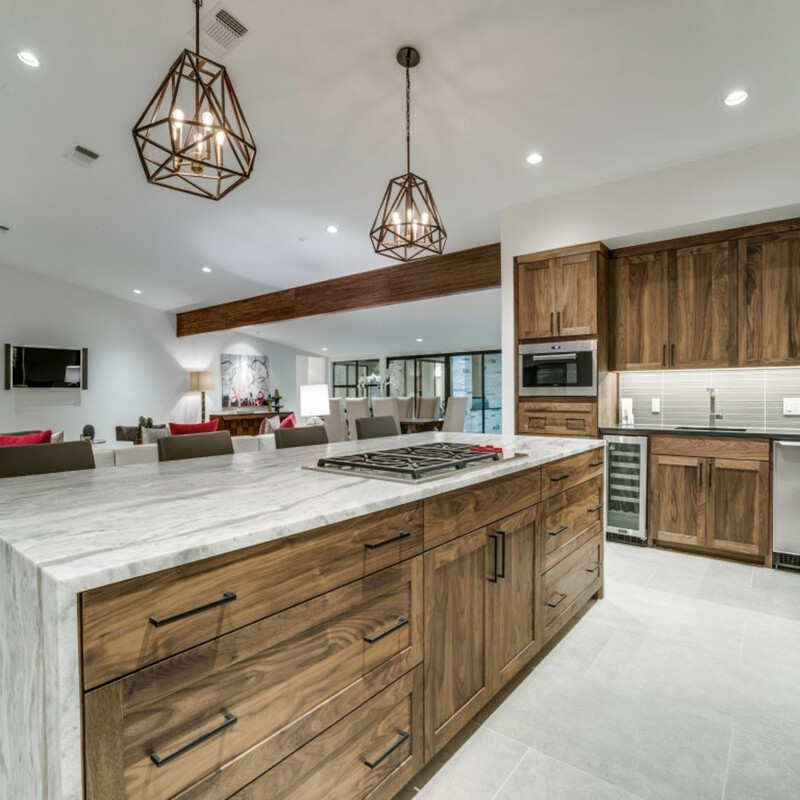 Wolf, Sub-Zero, and Asko appliances will turn you into the neighborhood chef, even if you’ve never lifted a spatula before. 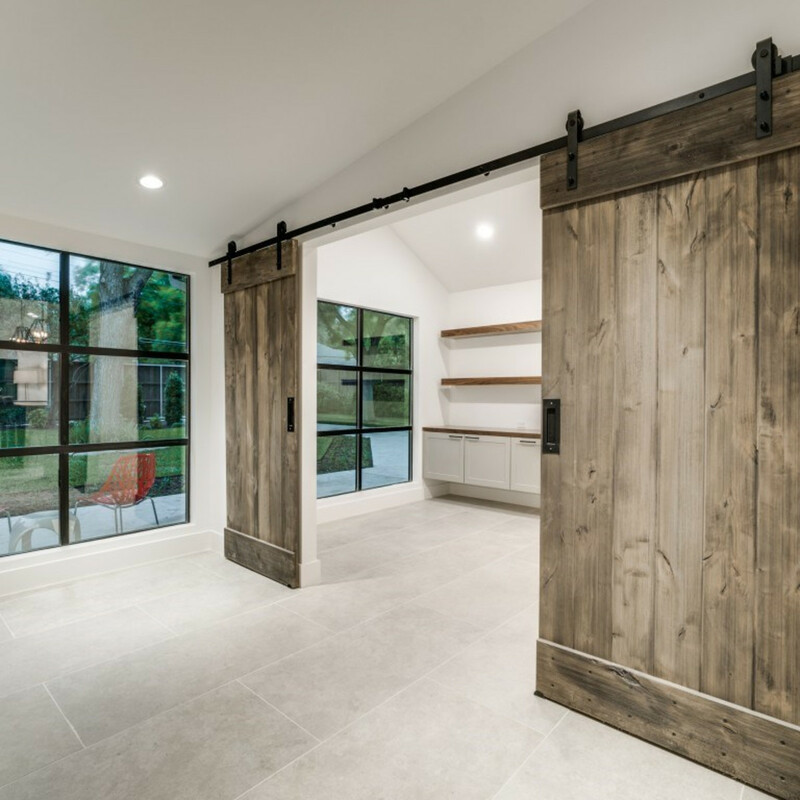 There’s a great study just off the main living area, accessed by double barn doors. 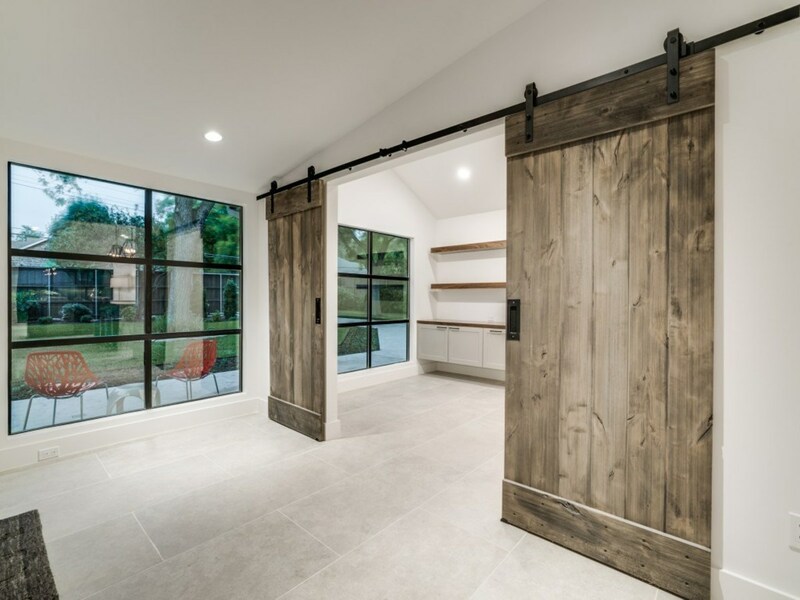 (Yes, barn doors are still extremely cool.) 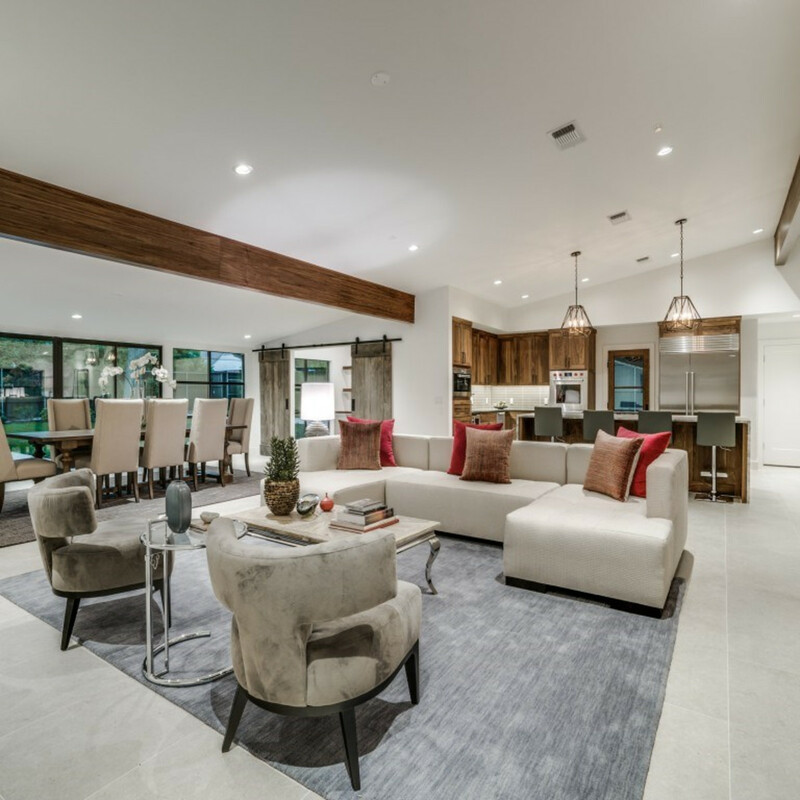 Built-ins create a floating credenza with walnut shelves against the back wall. 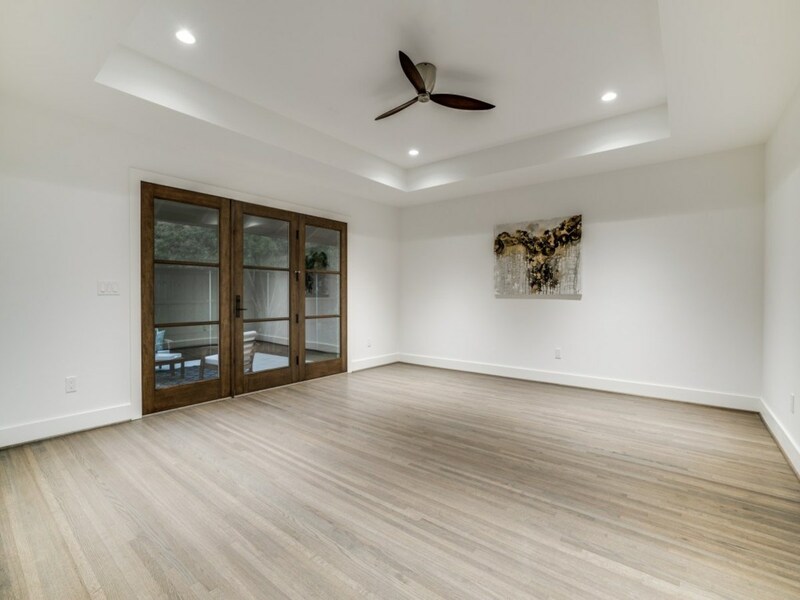 You could easily open the doors and use this area as a supplemental buffet and bar space for a large party. 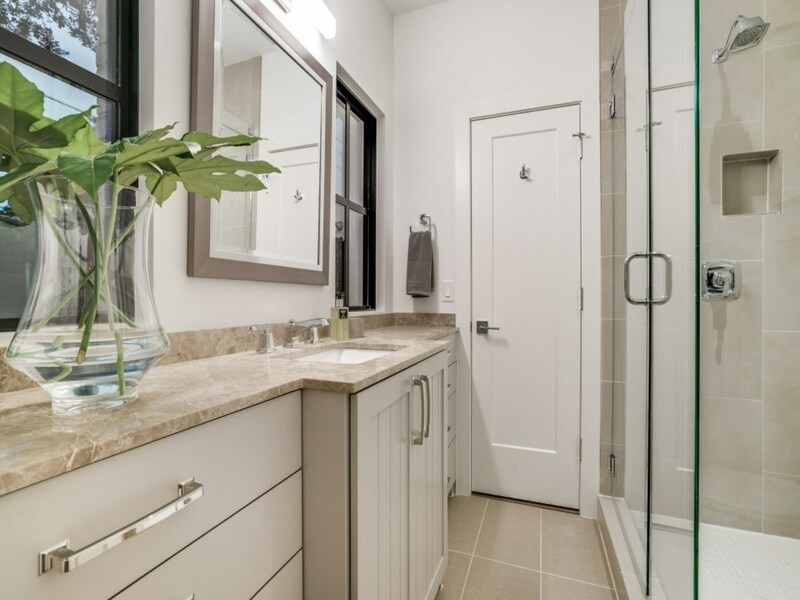 Naturally, the bathrooms are updated to perfection, completing this thorough remodel.